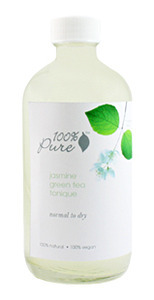 The Jasmine Green Tea Tonique is an instant drink of water for your thirsty skin! This tonique is packed full of skin soothing herbs and antioxidants to balance and nourish dehydrated skin! Truly, 100% Pure.